It was almost warm enough to eat outside. But quite windy. 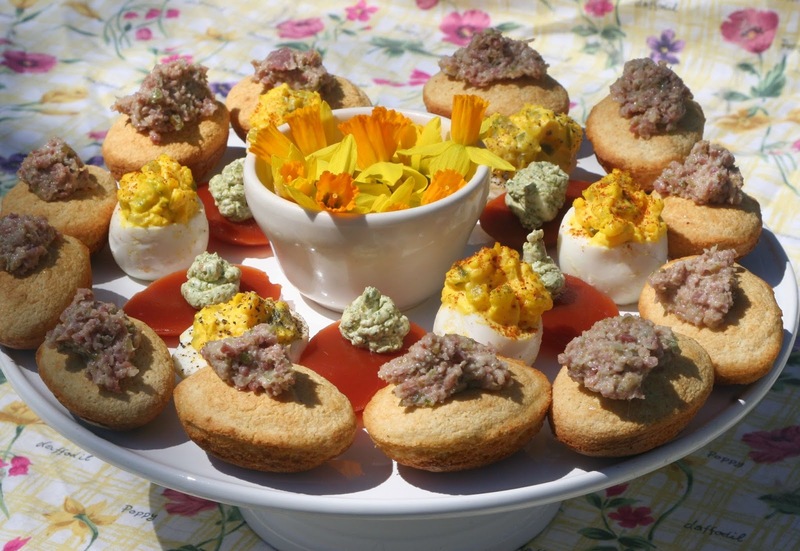 There were the obligatory deviled eggs. 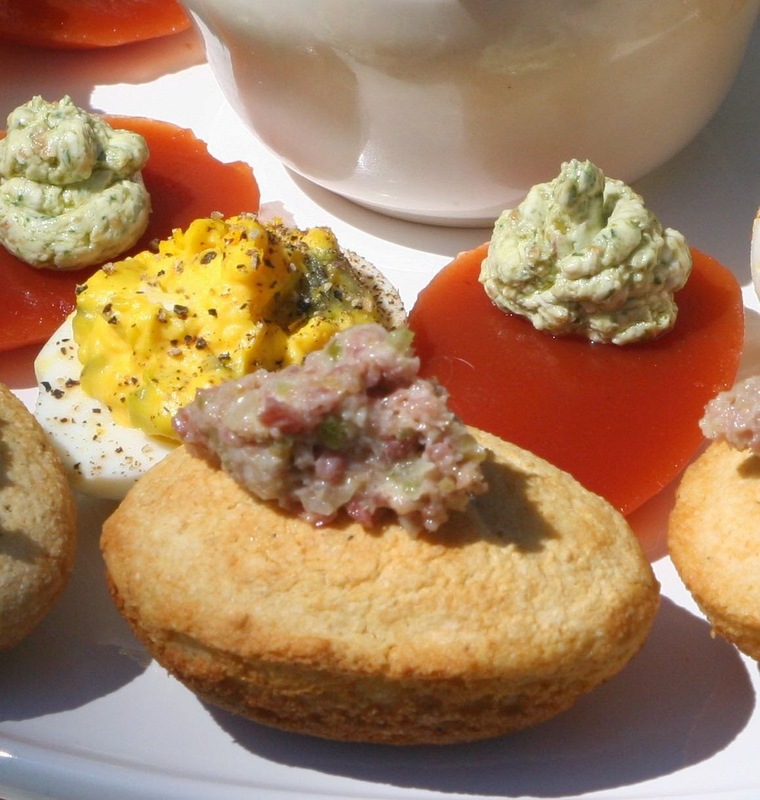 We made Bloody Mary aspic eggs with ramp pesto and chevre . 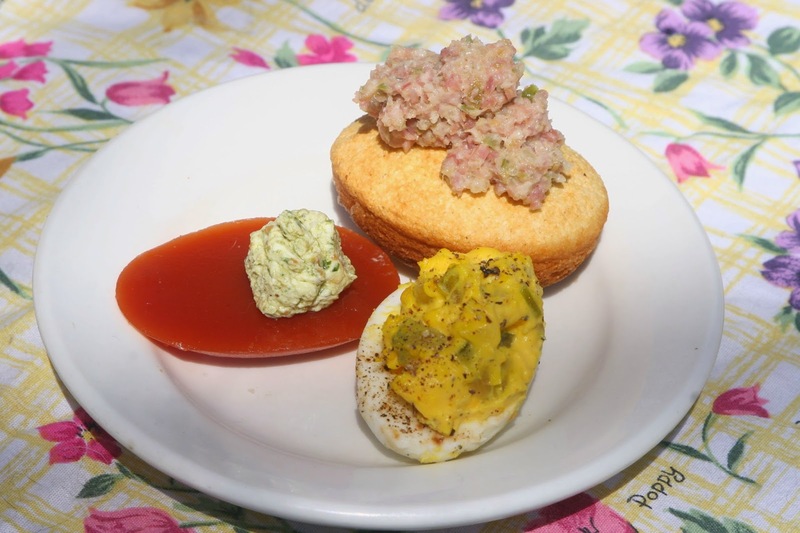 And cornbread eggs topped with a spread of country ham and pickled okra.